Record Release Saturday 27th October from15:00 to 17:00 hrs. Performance Salon Saturday 3rd November from 15:00 to 17:00 hrs. Performance Salon 10th November from 15:00 to 17:00 hrs. C&H gallery is proud to present Cello Girls by Emily Kocken. In the course of the exhibition various performances and events will take place in the gallery. 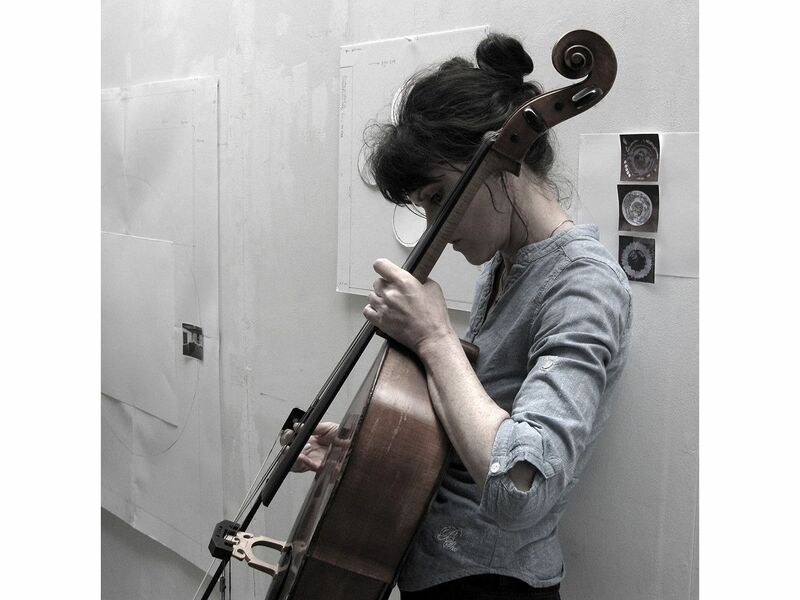 With Cello Girls Emily Kocken aims to create a work that unfolds its discursive qualities over time, like the movements of a symphony or the chapters of a novel. 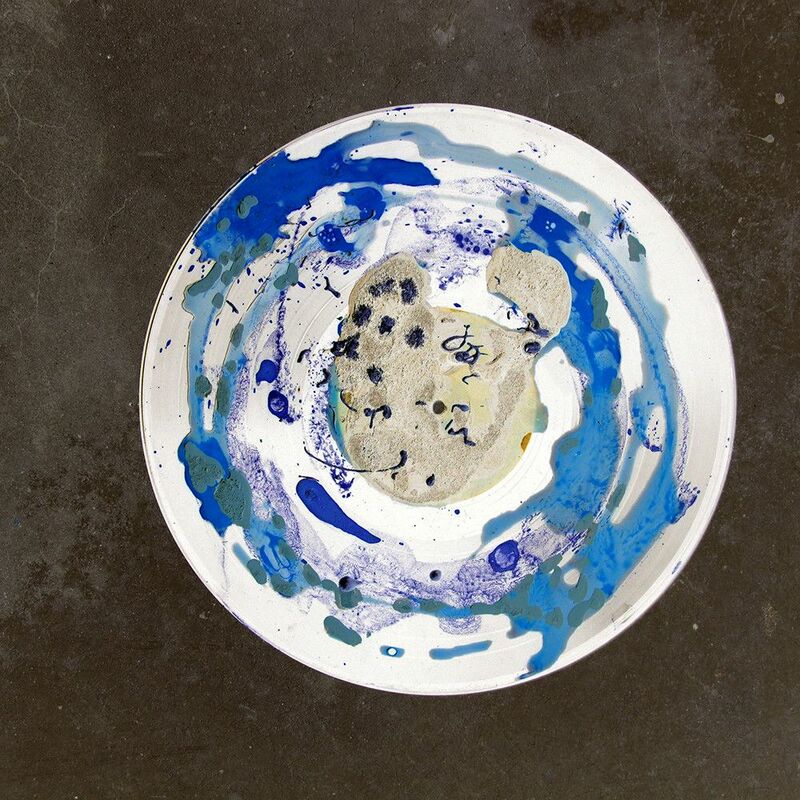 Cello Girls is a project, vinyl record, spatial installation, and a series of events. In essence, the installation functions as a hub to embrace sound, image, thought, memories, grief, emotions, ceremonial playfulness. Staged in a circle Cello Girls strives to evoke an intimate threefold relationship between the female body, the audience, and the cello that the artist welcomed back in her life after an absence of many years. By unraveling musical structures (playing the Solo Suites for Cello by Johann Sebastian Bach backwards for instance) she decodes compositions considered to be pillars of our collective memory. In this work Kocken reconnects with the cello in homage to the spirit of avant-garde cellist Charlotte Moorman. Through her performances, Kocken aims to share her emotion through the medium of the cello with a live audience, revering break-through avant-garde compositions by Nam June Paik and John Cage, constructing personal performances and new works on paper – based on codes she detected from documentation about Moorman through analysing political references of being an American in the sixties and beyond. Born in the early sixties Kocken was an infant when Charlotte Moorman was active as an artist, a provocative force of nature in the highly conventional art world, making way for sexuality as a meaningful tool in the field of modern art. She was famous for her happenings, involving a multitude of artists. A pioneer in taking the female body seriously by not taking it too seriously, she stopped wearing clothes during her live performances. Emily Kocken lives and works in Amsterdam. Her work is shown in international shows, and is part of private collections. As a writer she is represented by the Dutch publishing house Querido. Her debut novel Witte Vlag was nominated for the Academia Literature Price in 2014. She received a grant from the Dutch Foundation for Literature for her third novel Lala landing (will be published in 2020). Solo shows include Come-Go-Stay at West, The Hague (2015), about semiotics and finding closeness to the poodle of Gertrude Stein. She performed the prelude of the solosuite for cello by J.S. Bach backwards for the first time (entitled Anna-O-Anna) at the Van Abbemuseum in 2016.